Photo "Who are you?!... or unexpected encounter in the da"
A rather disturbing shot. I don`t mean that in a negative way. 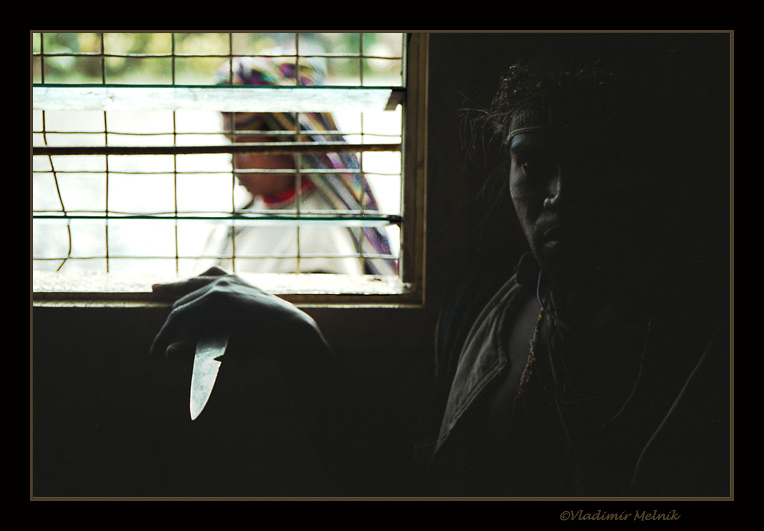 The person in the darkness with the glint of a knife... a person passing by outside...leads the mind to many mysteries of what is happening here. I think that the catch of the light highlighting the planes of the face would be a fantastic photo all by itself. I like this very much but I really don`t know how to rate it.